Second Half ended - Real Sociedad 3, Atlético de Madrid 0. Thats all. Game finished - Real Sociedad 3, Atlético de Madrid 0. Juanmi - Real Sociedad - receive yellow card for excessive celebration. Goal! Real Sociedad 3, Atlético de Madrid 0. Juanmi - Real Sociedad - shot with the head from the centre of the box to the top left corner. Assist - Alberto de la Bella with a cross. Asier Illarramendi - Real Sociedad - won a free kick in defence. Corner - Real Sociedad. Conceded by Kevin Gameiro. Corner - Real Sociedad. Conceded by Koke. Vitolo - Atlético de Madrid - won a free kick in attack. Substitution - Real Sociedad. Jon Bautista for Willian José. Juanmi - Real Sociedad - won a free kick in attack. New attacking attempt. Fernando Torres - Atlético de Madrid - shot with the head from the centre of the box is saved in the left corner. Assist - Koke. Fernando Torres - Atlético de Madrid - won a free kick on the left wing. Goal! Real Sociedad 2, Atlético de Madrid 0. Juanmi - Real Sociedad - shot with right foot from the centre of the box to the right corner. Assist - Willian José with a through ball. Shot blocked. Saúl Ñíguez - Atlético de Madrid - shot with left foot from the centre of the box is blocked. Assist - Diego Godín with a head. Corner - Atlético de Madrid. Conceded by Héctor Moreno. Shot blocked. Kevin Gameiro - Atlético de Madrid - shot with right foot from the centre of the box is blocked. Antoine Griezmann - Atlético de Madrid - won a free kick on the right wing. Offside - Atlético de Madrid. Koke with a pass, however Fernando Torres is in offside. Substitution - Atlético de Madrid. Gabi for Thomas Partey. Missed chance. Sergio Canales - Real Sociedad - shot with left foot from outside the box is close, but missed. Assist - Willian José. Missed chance. Aritz Elustondo - Real Sociedad - shot with right foot from more than 40 yards on the right wing is close, but misses the top right corner. Substitution - Real Sociedad. Juanmi for Mikel Oyarzabal. Missed chance. Willian José - Real Sociedad - shot with right foot from outside the box missed to the left. Assist - Adnan Januzaj following a fast break. Koke - Atlético de Madrid - won a free kick in defence. Missed chance. Sime Vrsaljko - Atlético de Madrid - shot with the head from the centre of the box is close, but missed to the left. Assist - Koke . Saúl Ñíguez - Atlético de Madrid - won a free kick on the left wing. Missed chance. Fernando Torres - Atlético de Madrid - shot with the head from the centre of the box is high and wide to the left. Assist - Sime Vrsaljko with a cross. Substitution - Real Sociedad. David Zurutuza for Rubén Pardo. New attacking attempt. Adnan Januzaj - Real Sociedad - shot with right foot from outside the box is saved in the right corner. Assist - Sergio Canales. Alberto de la Bella - Real Sociedad - won a free kick in defence. Corner - Atlético de Madrid. Conceded by Alberto de la Bella. Shot blocked. Koke - Atlético de Madrid - shot with right foot from outside the box is blocked. Corner - Real Sociedad. Conceded by Diego Godín. Saúl Ñíguez - Atlético de Madrid - won a free kick in defence. Willian José - Real Sociedad - won a free kick on the right wing. Substitution - Atlético de Madrid. Vitolo for Juanfran. Héctor Moreno - Real Sociedad - won a free kick in defence. Corner - Atlético de Madrid. Conceded by Willian José. Fernando Torres - Atlético de Madrid - won a free kick on the right wing. Offside - Atlético de Madrid. Jan Oblak with a pass, however Kevin Gameiro is in offside. Corner - Atlético de Madrid. Conceded by Raúl Navas. Missed chance. Raúl Navas - Real Sociedad - shot with the head from the right side of the six yard box is close, but missed. Assist - Sergio Canales with a cross after corner. 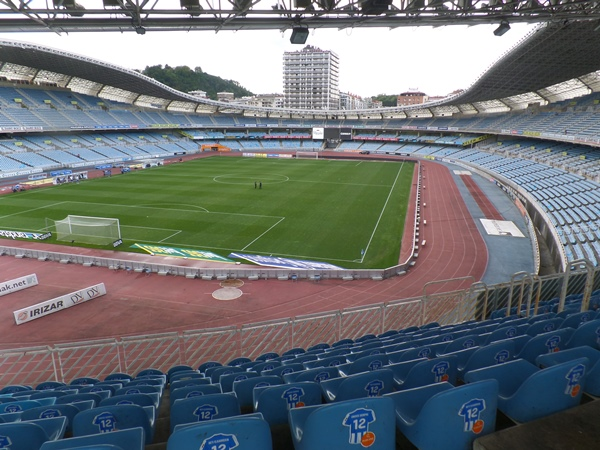 Corner - Real Sociedad. Conceded by Sime Vrsaljko. 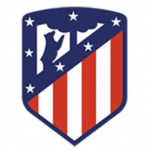 Substitution - Atlético de Madrid. Fernando Torres for Ángel Correa. Second Half starts Real Sociedad 1, Atlético de Madrid 0. 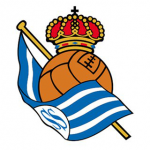 First Half ended - Real Sociedad 1, Atlético de Madrid 0. Willian José - Real Sociedad - won a free kick in defence. Missed chance. Sergio Canales - Real Sociedad - shot with left foot from outside the box is close, but missed to the left. Assist - Aritz Elustondo. Adnan Januzaj - Real Sociedad - won a free kick on the right wing. Offside - Atlético de Madrid. Koke with a pass, however Kevin Gameiro is in offside. Shot blocked. Sergio Canales - Real Sociedad - shot with left foot from outside the box is blocked. Assist - Adnan Januzaj. Missed chance. Aritz Elustondo - Real Sociedad - shot with right foot from outside the box is close, but missed. Kevin Gameiro - Atlético de Madrid - won a free kick in defence. Missed chance. Antoine Griezmann - Atlético de Madrid - shot with left foot from the centre of the box is high and wide to the left. Assist - Saúl Ñíguez with a head. Goal! Real Sociedad 1, Atlético de Madrid 0. Willian José - Real Sociedad - shot with right foot from the centre of the box to the left corner. Assist - Adnan Januzaj. Antoine Griezmann - Atlético de Madrid - won a free kick in defence. Aritz Elustondo - Real Sociedad - won a free kick on the right wing. New attacking attempt. Diego Godín - Atlético de Madrid - with an attempt from the centre of the box is saved in the left corner. Assist - Koke with a cross. Diego Godín - Atlético de Madrid - won a free kick in attack. Offside - Atlético de Madrid. Antoine Griezmann with a pass, however Kevin Gameiro is in offside. Shot blocked. Raúl Navas - Real Sociedad - shot with right foot from outside the box is blocked. Diego Godín - Atlético de Madrid - won a free kick in defence. Mikel Oyarzabal - Real Sociedad - won a free kick on the left wing. Shot blocked. Saúl Ñíguez - Atlético de Madrid - shot with left foot from outside the box is blocked. Assist - Thomas Partey.